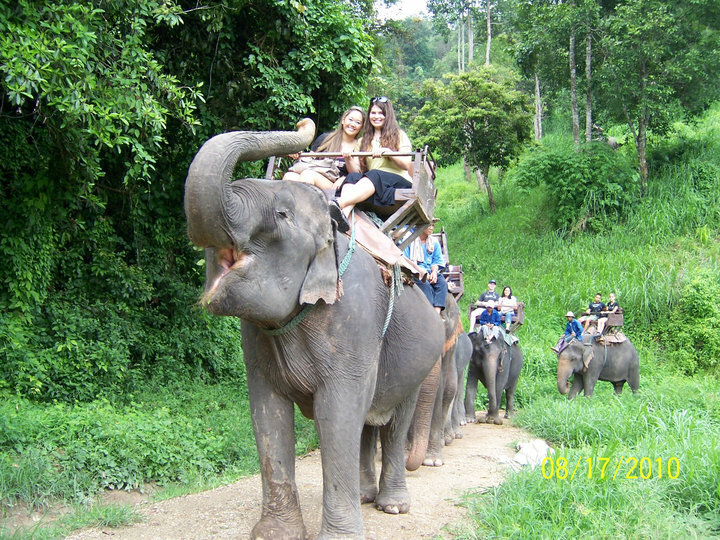 Riding and elephant in Thailand with my friends. I would love to teach in Thailand! As an international teacher it is really easy for me to travel. Usually I try to explore the country I am teaching in first, then the countries surrounding my country, and then countries a short flight away from my job. Using this method, I have traveled to 18 different countries. I have really big travel plans this year: (Colombia for Thanksgiving, Machu Pichu & Bolivian Salt Flats for X-Mas, a Caribbean island for Carnival, Guatemala for Spring Break, and a European Backpacking trip through 7 different countries in the summer). The only problem being that it is REALLY difficult to get flights out of Venezuela. According to this article Venezuela will see less flights than Cuba or Haiti. Because of this, my goal of reaching 31 countries by the time I turn 31 might be unrealistic after all. So, instead of focusing on all the travel that I might not be able to do this year, I am focusing on all of the places and things I want to see before I kick the bucket! I love your bucket list…and checked myself against them. Some I wasn’t interested in, but out of 40 I can proudly say I have myself have achieved….14 of yours!….. I think it is important to have a bucket list. It helps me to have something to always look forward to. Absolutely! In 10 years time you may even find a few more additions to it and/or they may even change! My feeling too is, though bucket lists are good…don’t let it limit you, so many other incredible things will happen along the way too….enjoy… All the best for your trips! I have nominated you for the LIEBSTER Award. Check out my blog for more details on what you need to do. Great Blog by the way! Hi! Thanks for visiting. Also, thank you so much for the nomination! I think yours is the fifth nomination I’ve received and I’ve already posted about it: https://teachingwanderlust.com/2014/06/25/the-liebster-award/.